What is an Idol Shepherd? Well a shepherd is someone who tends to a flock. A shepherd can also tend people. Israeli Prime Minister Benjamin Netanyahu has proven that he is a faithful and strong shepherd. Thank God for him. He is diligent to serve his land and people. He is conscientious to beware of Israel’s enemies. He is attentive to the safety and welfare of the Israeli people. Today Israel is blessed with an upright shepherd. An Idol Shepherd is a leader who does not care for his people. One day God will raise up a wicked leader in Israel who will hand over his people for profit. Don’t think that I am talking about the Antichrist. I am not. 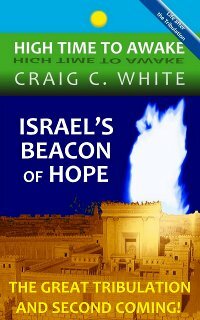 I am talking about a Jewish Israeli leader who will be in office during the great tribulation. Zec 11:16 For, lo, I will raise up a shepherd in the land, which shall not visit those that be cut off, neither shall seek the young one, nor heal that that is broken, nor feed that that standeth still: but he shall eat the flesh of the fat, and tear their claws in pieces. God himself will raise this shepherd to serve his purpose of judging Israel during the final seven years of indignation spoken of by the prophet Daniel (Dan 9:24). The wicked shepherd will not care for the children who wander the streets having lost their parents. He will not help those whose lives have been broken. The phrase nor feed that that standeth still means he will not support those who are standing for what is right. The shepherd will not do what is right. He will do the opposite. He will greedily consume the wealth of Israel for himself. He will tear apart all those who reach out for help. God decrees misfortune upon the Idol Shepherd. The word leaveth means to forsake. The Idol Shepherd forsakes the administration of the health, safety, security and welfare of the Israeli people. God calls him the idol shepherd. Today we would literally say “rotten, good for nothing, worthless shepherd”. In the phrase the sword shall be upon his arm the word sword refers to a drought, also a cutting instrument. The word arm refers to the arm (as stretched out), it signifies force, mighty power, and strength. This verse is declaring God’s judgment upon the unfaithful leader of Israel. This could be applied to his personal judgment or possibly judgment to Israel under his tending. This could mean that the Israeli military will be cut. The idol shepherd will be powerless against Israel’s enemies. The sword will also be upon his right eye. The word right refers to your strong side. The word eye refers to sight. This may mean that his vision to do right will be darkened. Because of the context I think this may mean that a strong leader (the shepherd’s right hand man) will be cut off. Let me suggest that a wicked Israeli president may get rid of his Prime Minister who sees the needs of the people. Of course there may be a different meaning. Zechariah further describes the condition of the arm and the eye. The phrase his arm shall be clean dried up again probably means that the Israeli military will be ashamed, confused, confounded, dried up, and withered away to nothing. The phrase his right eye shall be utterly darkened may mean that the shepherd is completely blind to what is right, or that the shepherd’s decent right hand man is completely restrained. The idol shepherd is spoken of throughout Zechariah chapters 10 & 11, and recapped in Zechariah 13:7. Zec 11:5 Whose possessors slay them, and hold themselves not guilty: and they that sell them say, Blessed be the LORD; for I am rich: and their own shepherds pity them not. During “the Great Tribulation” the Israeli people will be bought and sold as slaves. Those who own them will kill them. The slave merchants will say, “Blessed be the Hebrew God because I have become rich selling the Israeli people; and their own leaders don’t care about them”. Many prophetic Bible verses signify two distinct events, usually separated by time. This is one of them. Here the phrase My fellow tells us that the idol shepherd is a Hebrew. God smites the idol shepherd and the Israeli people are dispersed out of their land. In another meaning, this verse also tells us that the shepherd is God’s companion. That is “another of the same kind”. In this application my shepherd and my fellow refer to Jesus Christ. The word man here means valiant man. Zechariah is prophesying the death of Christ and the scattering of his disciples. We all wonder how the world is going to impose their “peace plan” on Israel. It seems that Israel will not relent to their un-survivable terms. Well, there is an Israeli leader coming who will not look out for the welfare of his land or his people. Israeli Prime Minister Benjamin Netanyahu and Israeli President Shimon Peres are faithful shepherds. Both men hold the deepest love for their country. There is a growing global movement to replace the Israeli leaders. 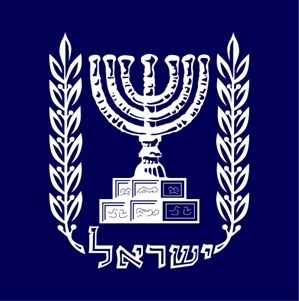 This coo extends inside the Israeli government. The opposition wants to install a vain leader who will bow to world dictate, especially concerning creating a Palestinian State inside of Israel. Opposition Leader Ms. Tzipi Livni has rudely blasphemed Netanyahu. She is leading protests against his leadership and is calling for his replacement. The world is greedily clamoring for Israel’s rotten shepherd. All signs point to a soon coming of Jesus Christ to gather his church. The idol shepherd is a Jewish Israeli leader.